We specialize in Optical Showroom Projects which include design as well as execution. We undertake turn key projects from concept to design to production. We have an able and adept team which is an expert with Optical Retail Outlets, Kiosk, Chain stores and Shoping shops. We provide design for your showroom to size,location,budget and time frame. All our Design is CUSTOMIZED. 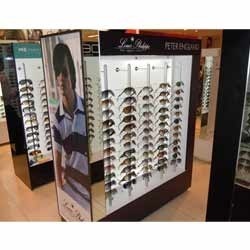 We are the leading manufacturers of Sunglasses Kiosks for malls. These units are totally modular. These units are made up of good quality wood and can be customized as per the requirements. 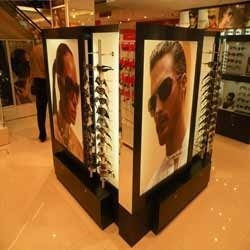 We are the leading manufacturers of Kiosk for Sunglasses for malls. These units are totally modular. These units are made up of good quality wood and can be customized as per the requirements of clients. 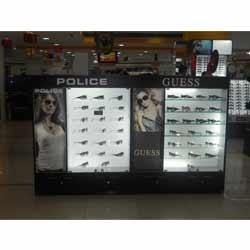 We are the leading manufacturers of Kiosk for Optical for malls. These units are totally modular. These units are made up of good quality wood and can be customized as per the requirements of clients. 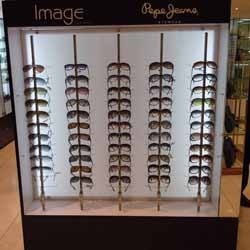 We have in store an impeccable gamut of Spectacles Kiosk. Manufactured by making use of supreme required basic material, these kiosks are unbreakable and durable. Along with this, we have made the offered kiosks available in different sizes and specifications, suited to the divergent demands of the clients. These can be customized as per the requirements of the clients. Looking for Shop in Shop ?